Become a Benalla Auto Club Inc member and enjoy exclusive benefits at Winton Motor Raceway and Wakefield Park. As a member of the BAC, you also have the opportunity to contribute to the success of our venues and attend social events where you can associate with other motorsport enthusiasts. 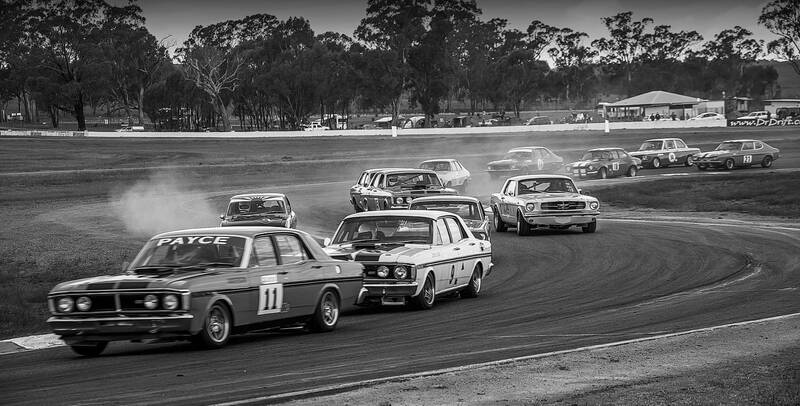 Members of the Benalla Auto Club receive many benefits which are valuable for competitors, spectators and officials. 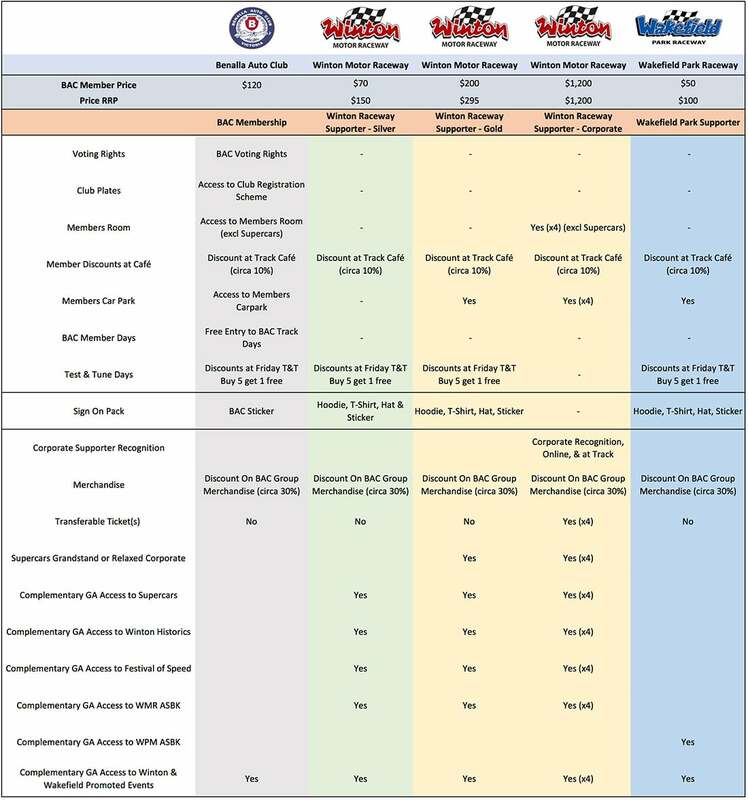 The BAC Committee has been looking at our mix of members and have come up with a revised membership structure that ensures those members who are here for the club are separated from those members who mainly want to visit events at Winton and Wakefield. We feel that this structure will best reflect the different types of members we have in the club and allow supporters of Winton and Wakefield to receive benefits for being regular visitors to our tracks. After downloading the application from the link above and completing the relevant sections, you can upload it here as a PDF or JPG file. BAC club members are eligible to apply for a Club Permit through the Club, provided they adhere to the requirements of both Vic Roads and Club. A Club Permit obtained through BAC is a privilege, not a right. It is important that each member is compliant for the benefit of other club members on the scheme. Non compliance with Vic Roads is a serious issue, and may result in various penalties for the club, and or, the permit holder. The club is focussed on retaining it’s agreement with Vic Roads through good compliance. When driving your Club Permit vehicle , you must carry your Vic Roads log book and permit (with that day’s driving details completed). We also strongly suggest that you carry your current club membership card. When seeking “Club Plates”, whether your car is unregistered or currently registered, you will need to obtain a roadworthy certificate, You will then need to contact the nominated inspection officer of the club (Currently Wayne Williams at Winton Motor Raceway) to book in a date and time to present your vehicle and Roadworthy certificate for inspection. (Apart from compliance with Vic Roads regulations). -Be an “active” member of the club. -Present your vehicle(s) for annual inspection (at nominated social days, by appointment, or by management’s request). -Hold a current “Cams” or “Aasa” competitors license. -Have been in the last membership year, a volunteer at any BAC/WMR/WPR/AASA event, (or general volunteer at any BAC facility). -Have in the last membership year, participated in any (1, or more) BAC event. Such as; AGM, Black tie, Members day, Drive day, Bathurst celebration day, Show and Shine (representing the club). The onus is placed on the “Club Plate” member to seek out the nominated official to register their attendance at any such event. “Attendance” is “participating” in the event, NOT dropping in to be ticked off, then driving away. For any “Club Plate” member who has been unable to comply for any valid reason, or due to unforeseen circumstances, has been unable to participate and can show “reasonable cause”, an appeal, by letter for consideration to the BAC general committee will be required. The BAC committee will then, at the next sitting of the committee endorse, or reject the member’s appeal for approval to remain eligible for “Club Plates” the following year.